While it has been frustrating for trainer Tony McEvoy that multiple Group One placegetter Oohood has yet to win, he is adamant with a touch more luck it would be a much different story. Oohood can shed that maiden tag when she resumes in Saturday’s Group Two Silver Shadow Stakes for fillies at Randwick for which she is favourite. McEvoy is bullish about Oohood’s spring prospects with the filly placed in her six starts, all at stakes level, during her juvenile season including close seconds in the Group One Golden Slipper and Sires’ Produce Stakes in Sydney. 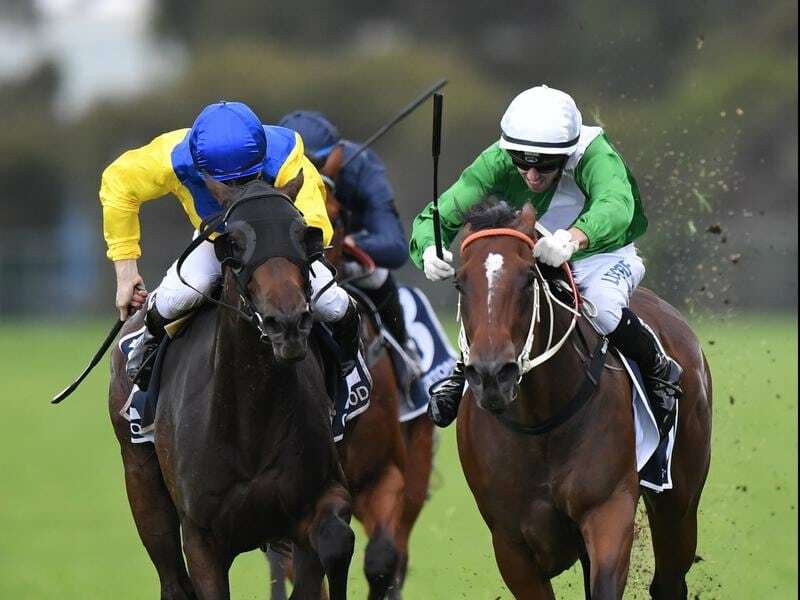 “She beat all the colts home in the Golden Slipper and she’s going to meet them again in the Golden Rose and will still get the benefit of the fillies’ weight allowance,” McEvoy said. McEvoy is confident Oohood can break through before the Group One Golden Rose, her third scheduled start this preparation, believing the three-year-old is forward enough for her first-up assignment. “She’s still holding on to her winter coat, but so are a lot of horses at the moment,” McEvoy said. McEvoy sent Oohood to Sydney this week and said she had settled in well at the same stable she was housed in during the autumn. “It is frustrating she hasn’t won yet but it hasn’t been her fault,” he said. “She has run incredibly well. In the Merson Cooper Stakes on debut she missed the start. “In the Blue Diamond Preview she got held up and in the Sires’ she got held up. She had a bit of a chequered run in the Blue Diamond. In another two strides she wins the Slipper. Oohood has the outside draw in the field of nine and McEvoy indicated he would not tie jockey Tim Clark down to tactics. McEvoy believes stablemate Sunlight can bounce back to winning ways in the Quezette Stakes in Melbourne on Saturday while the trainer also has a chance in the feature race in Adelaide with Dollar For Dollar resuming in the Spring Stakes.